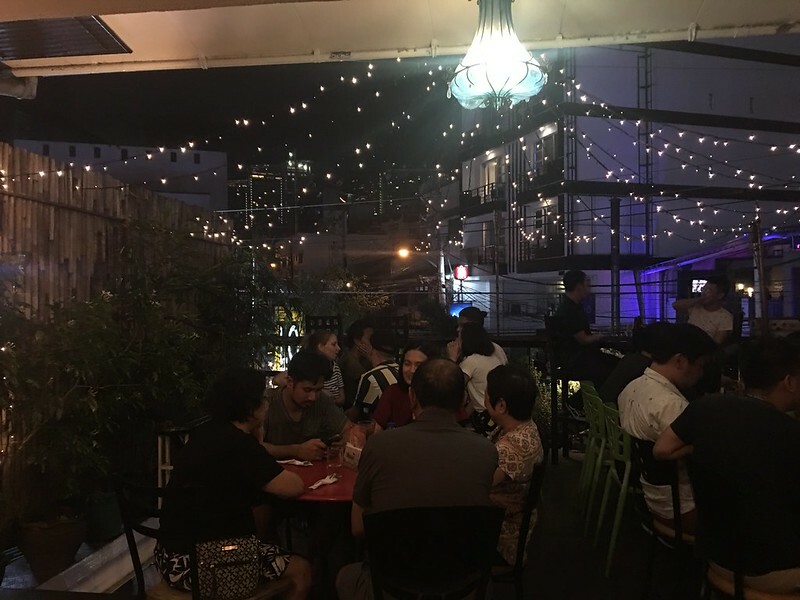 Makati’s Poblacion area is definitely getting a resurgence as the place to be, especially for gustatory adventures. 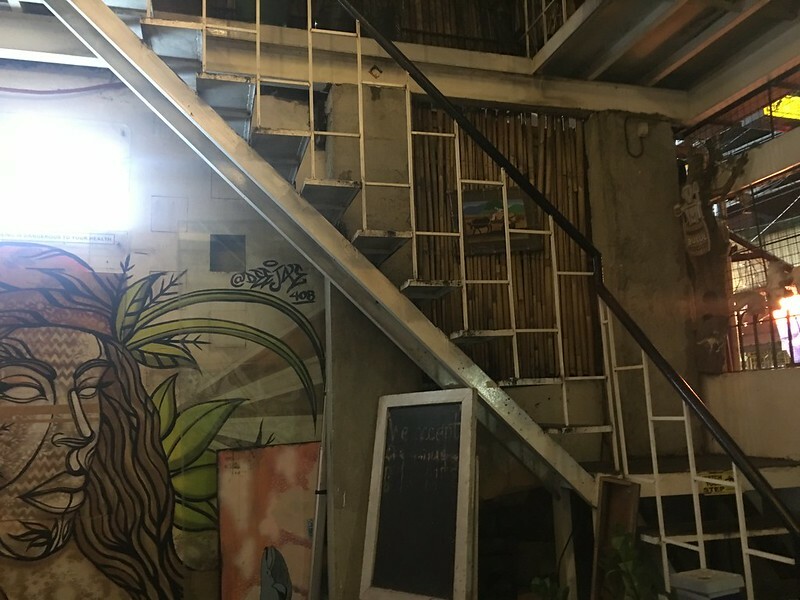 This quiet residential area (previously known for its red light district) is becoming the home for unique concept restaurants and bars, giving diners worthwhile alternatives to fastfood and chain restos. 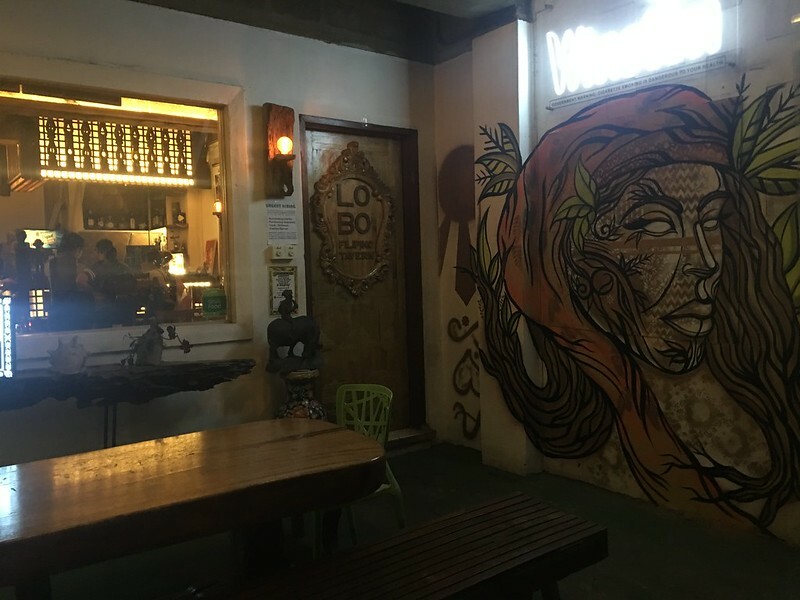 Lobo’s interiors features a classic Filipino aesthetic mixed in with modern influences. 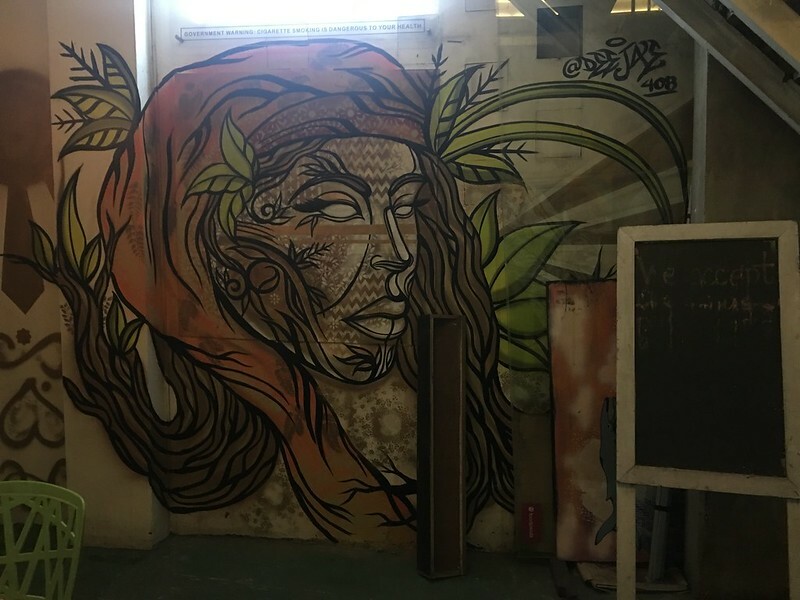 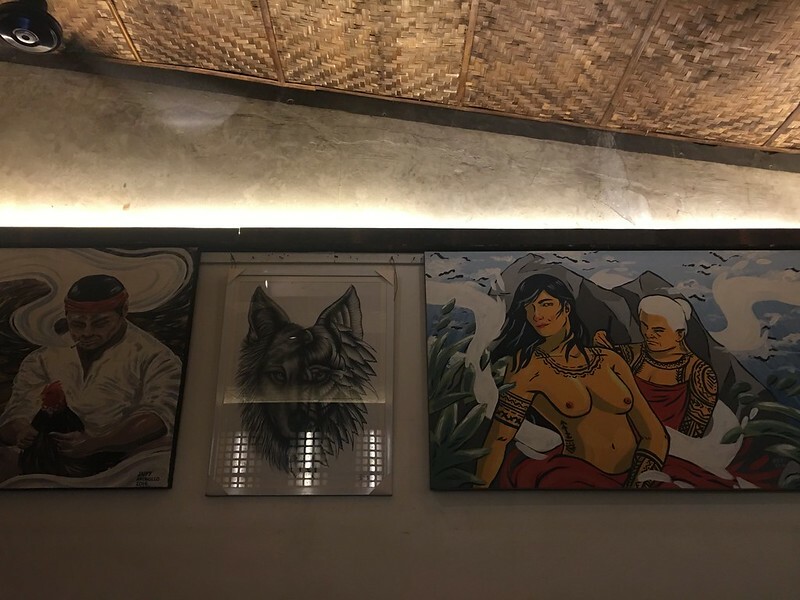 Heavy wooden doors, chairs and tables, and Pinoy tsotchkes are set against a backdrop of colorful murals that pay tribute to the bar’s namesake and to Filipino artistry. 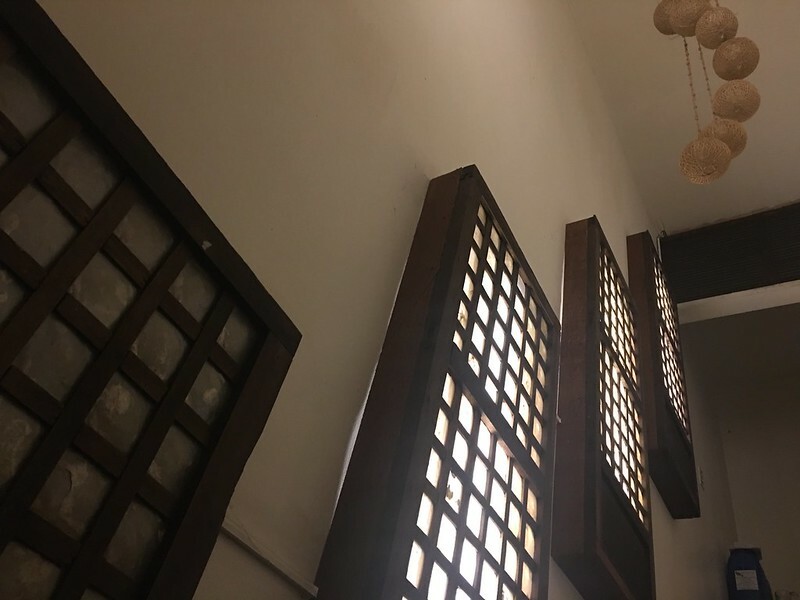 Together with fellow bloggers, While the bar has an air-conditioned section, I was invited to check this place out and sample its signature offerings that put a fresh twist to Filipino dishes but still call back to the traditions that spawned these delicacies. 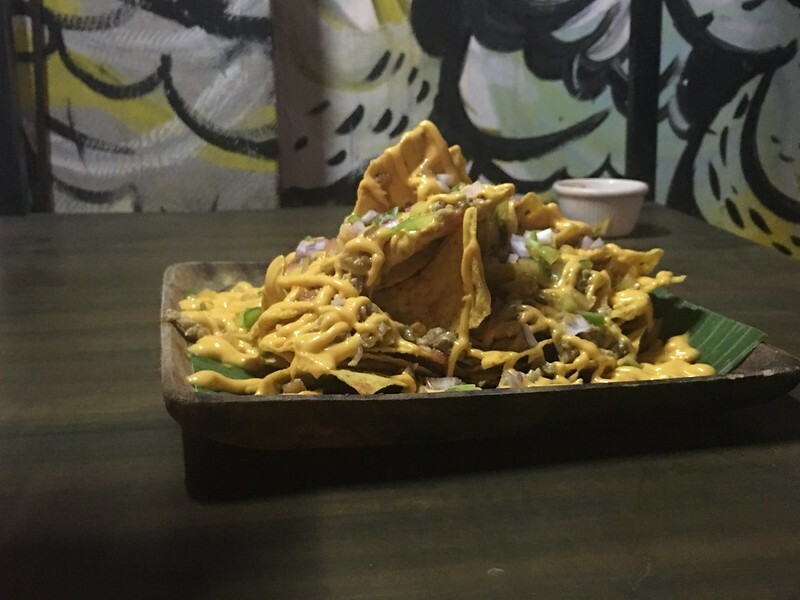 Pork Sisig Nachos (Php375). 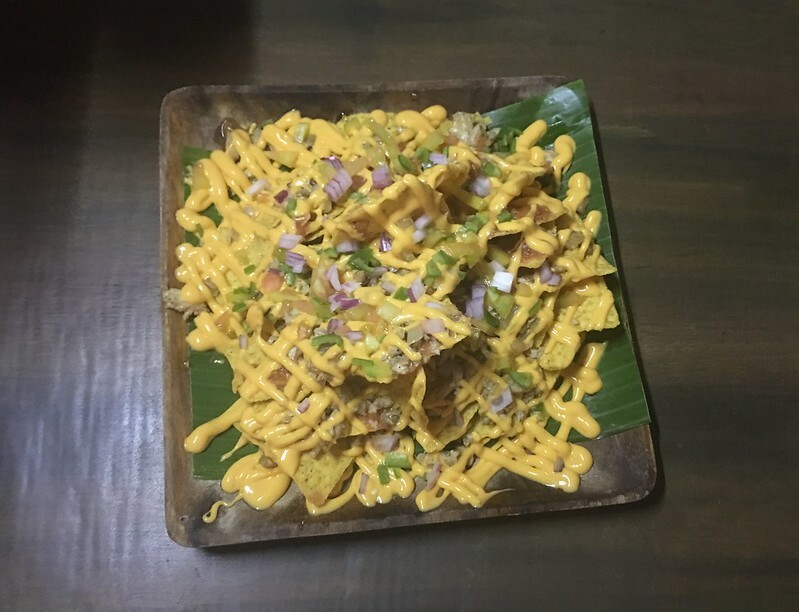 Your favorite crisp corn nachos drizzled with oodles of cheese and topped with flavorful pork sisig. 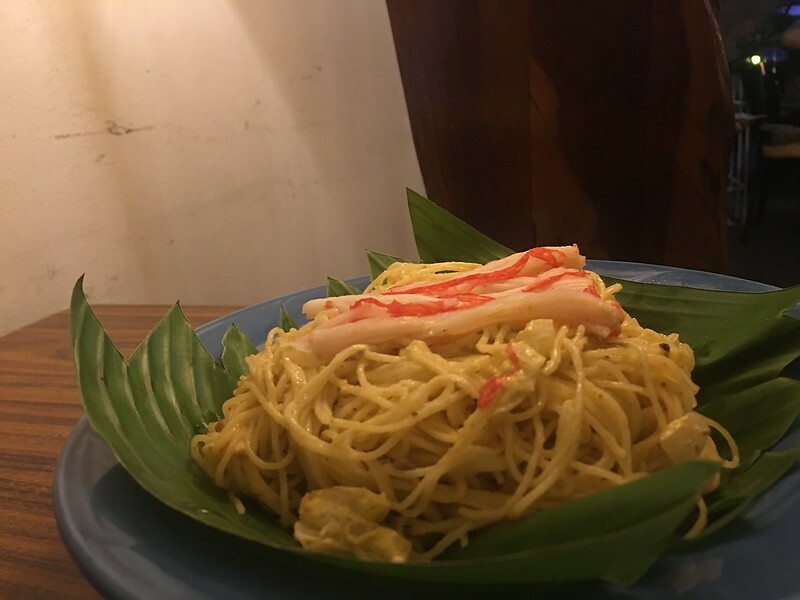 Crab Fat Kani Pasta (Php295). 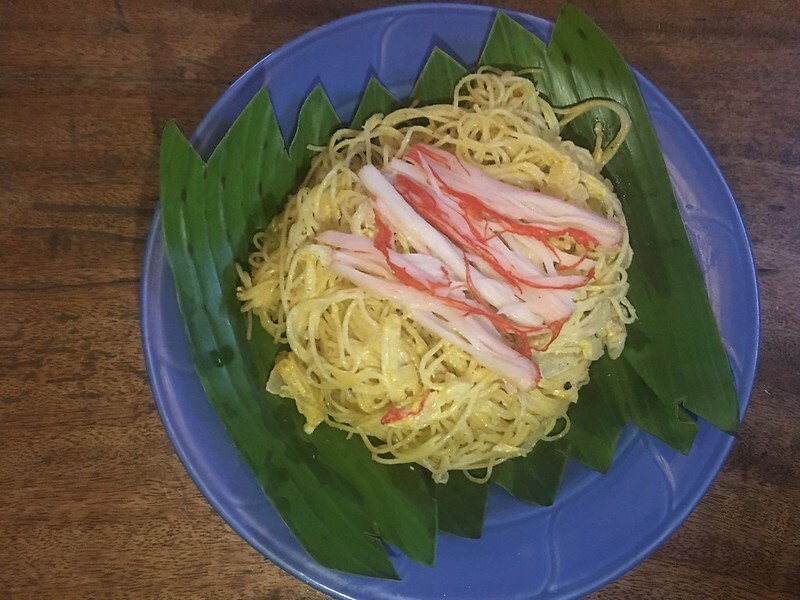 Strands of angel hair pasta coated with rich and flavorful aligue (crab fat) accented by kani sticks. 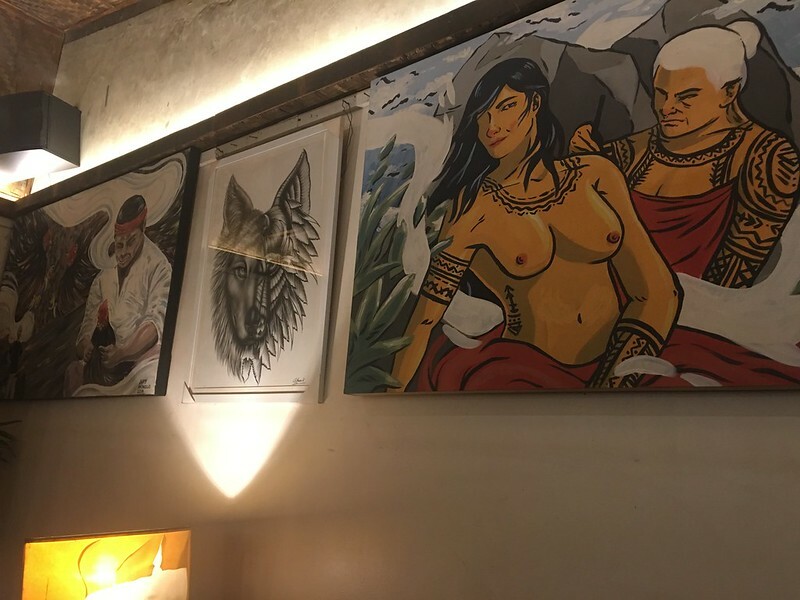 Sinuglaw (Php265). 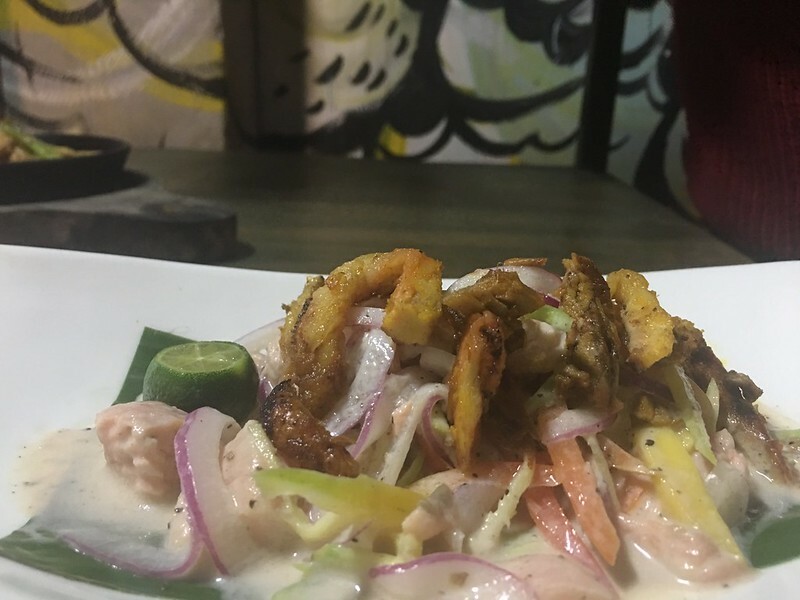 One of the Pinoy takes on the ceviche – fresh raw fish cured in citrus juices – which uses coconut vinegar, calamansi, mangoes, ginger, onions and coconut milk and topped with grilled pork belly. 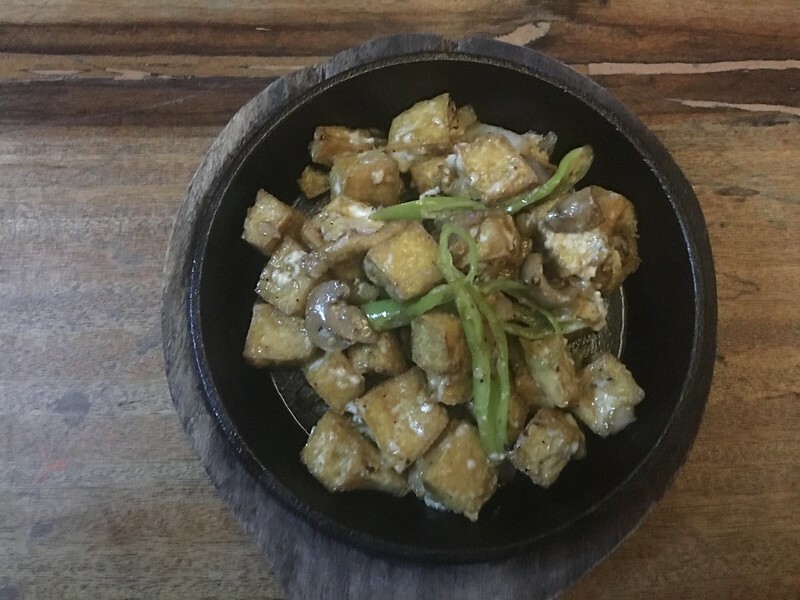 Tofu Sisig (Php150). 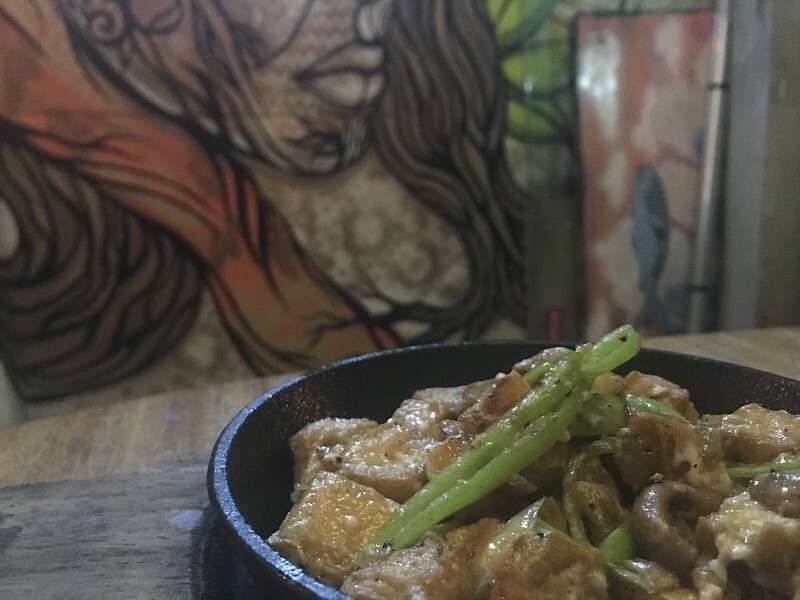 Served sizzling with sliced mushrooms, bits of chilis and minced onions, this is a sure-fire tasty way to enjoy tofu. 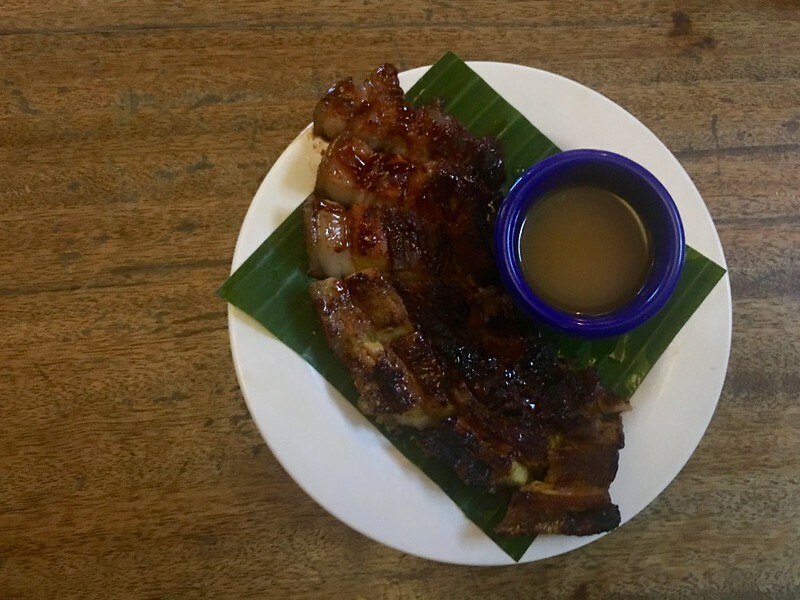 Inihaw na Liempo (Php150). 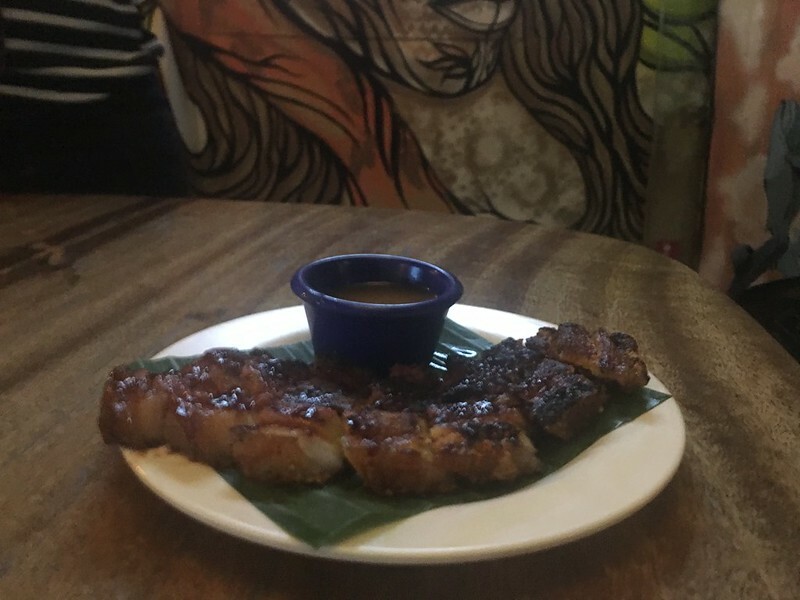 The Pinoy-style charcoal grilled pork belly – slightly sweet, very juicy and definitely smokey! 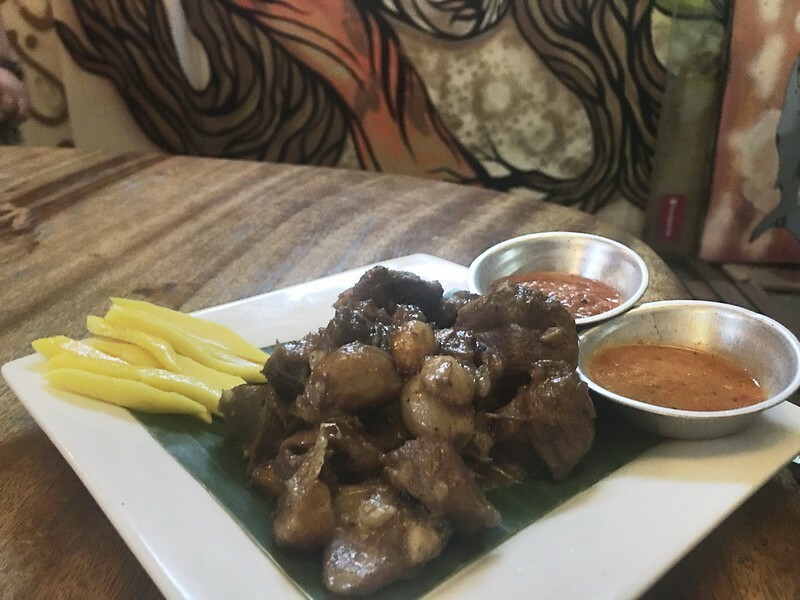 Lobo’s Lamb Adobo (Php275). 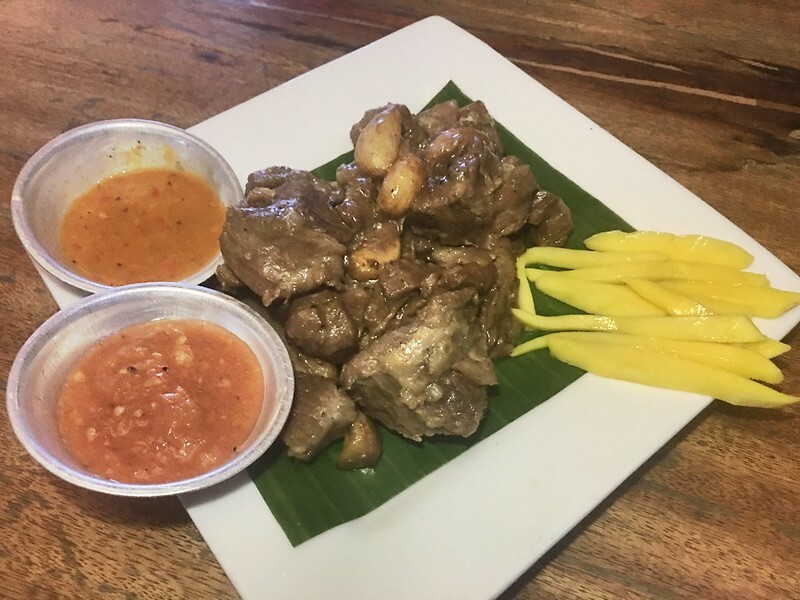 Tender cubes of Australian lamb stewed Pinoy adobo style and served with popped garlic bulbs and extra virgin olive oil. 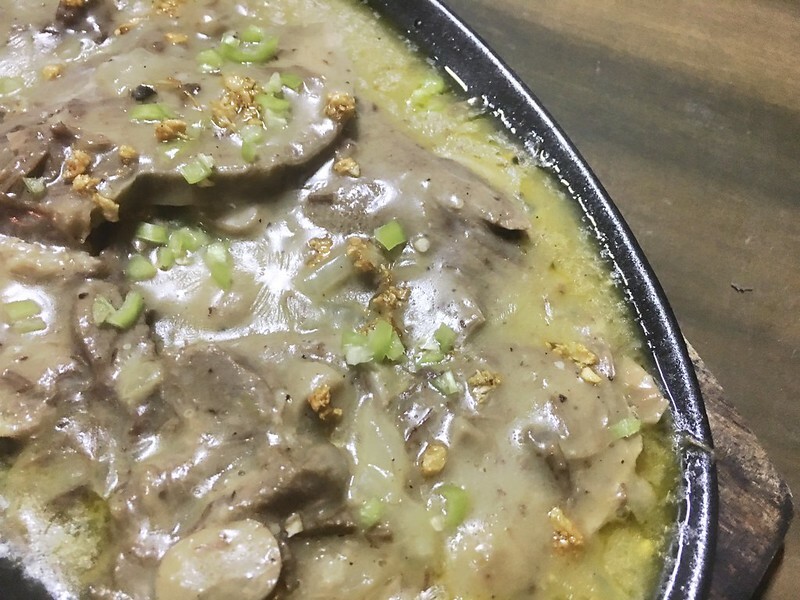 Godfather’s Lengua (Php265). 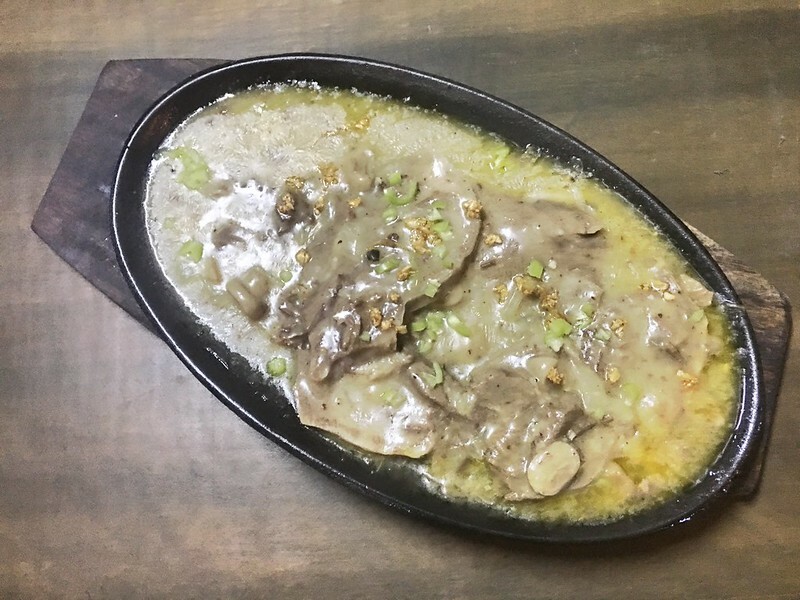 Melt-in-your mouth slices of ox tongue served on a sizzling plate with a rich buttery gravy. 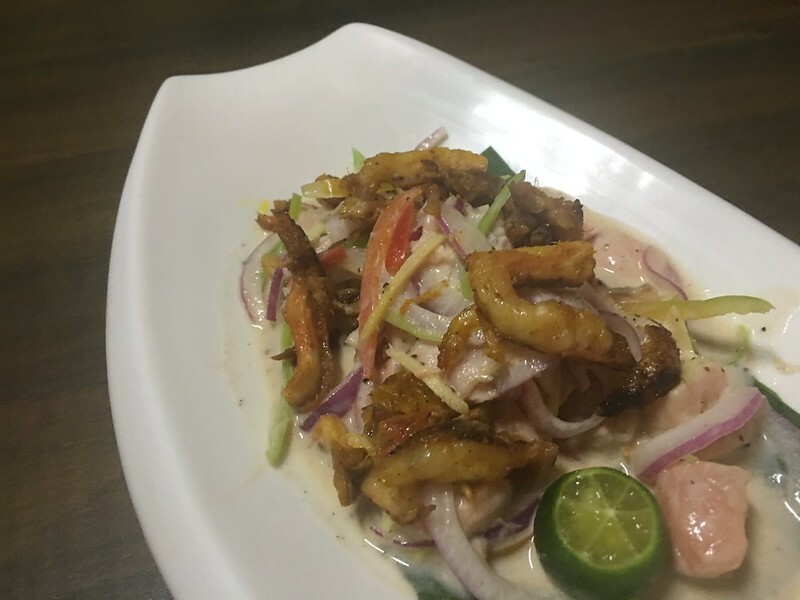 Garlic Rice (Php45 single | Php150). 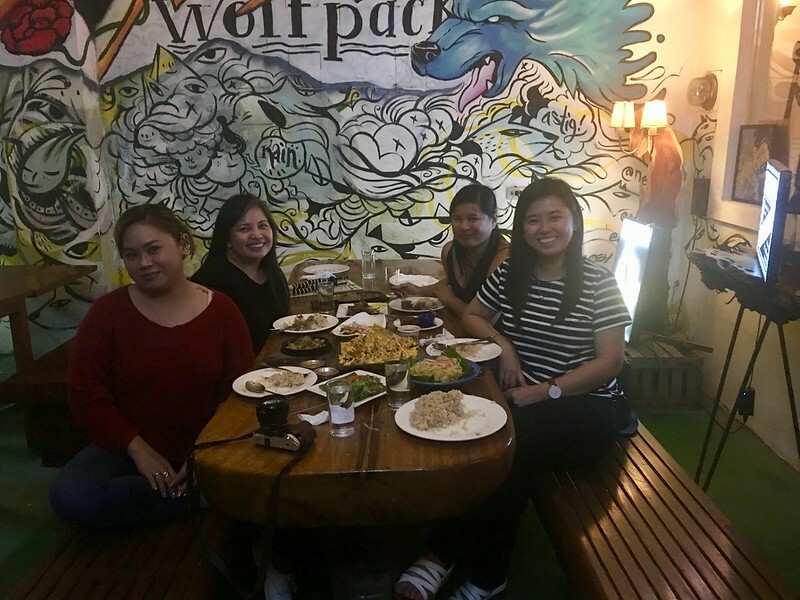 By themselves, the main dishes lamb adobo and lengua were already very tasty but partnered with garlic rice, they were winners! 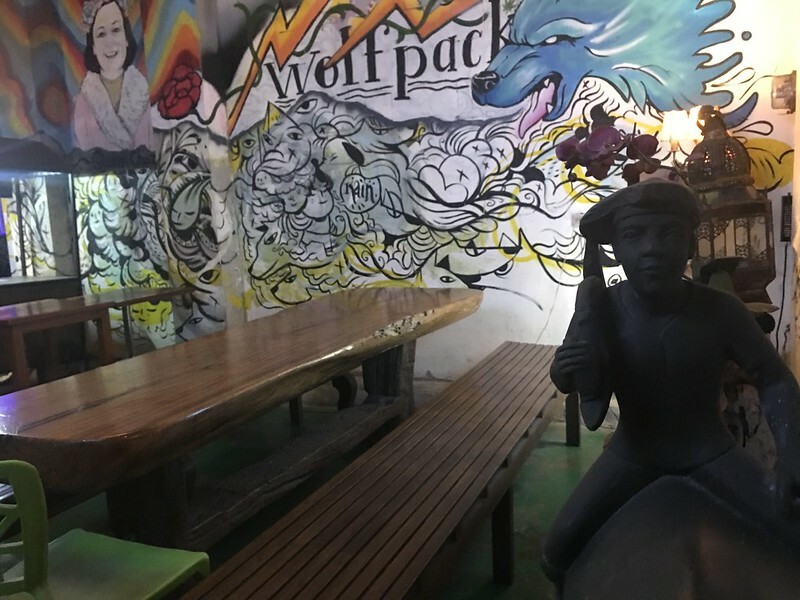 We savored this delightful repast in the restaurant’s al fresco area, where we also enjoyed the calm breezes of late January. 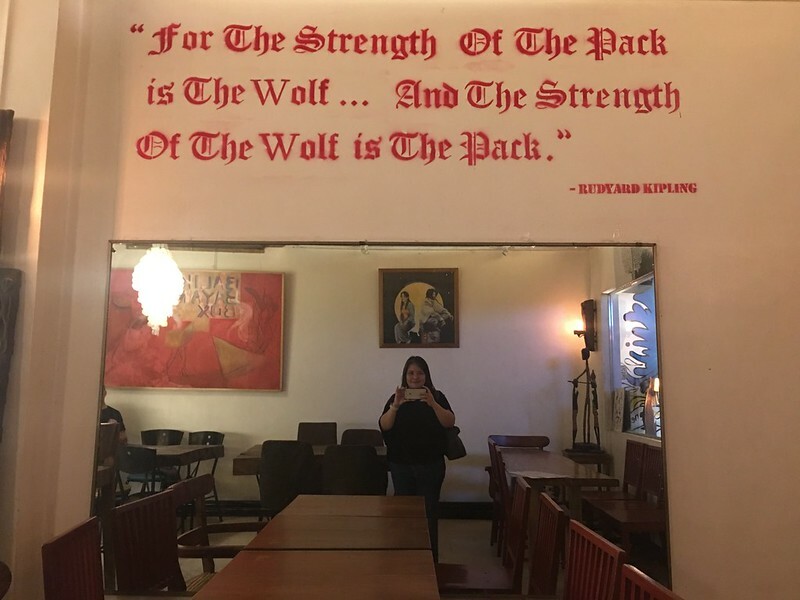 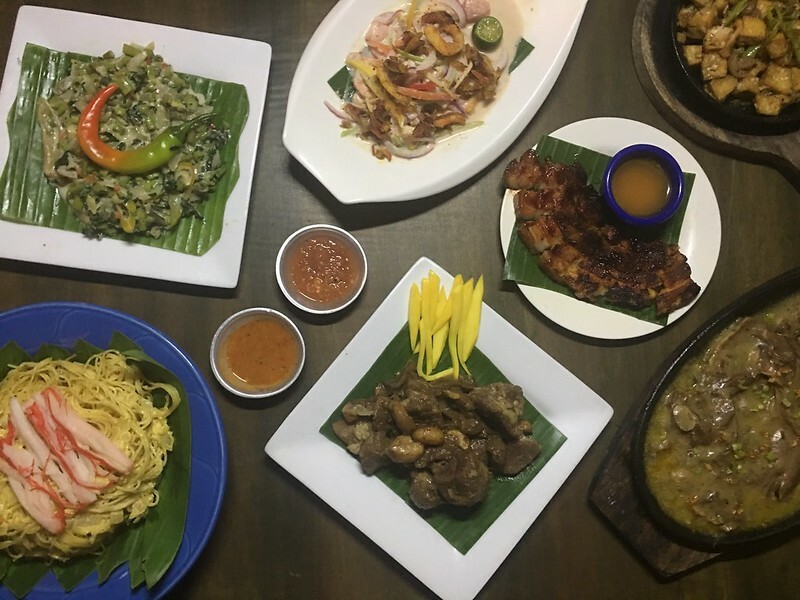 The restaurant’s take on Pinoy dishes is an appetizing adventure and I would love to come back here for a family dinner or some late-night drinks with friends to enjoy more of its offerings. 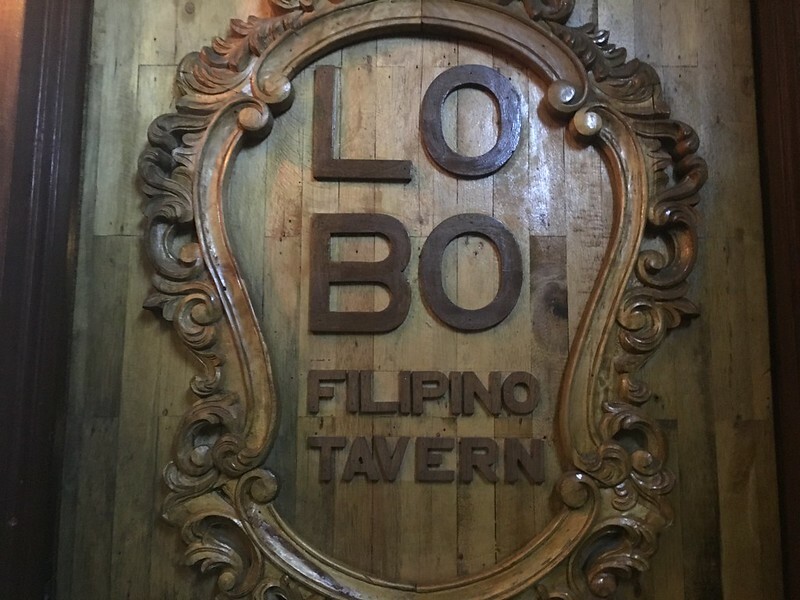 Lobo Filipino Tavern is located at 4898 Durban corner Polaris, Poblacion, Makati City, open daily from 5pm to 3am. 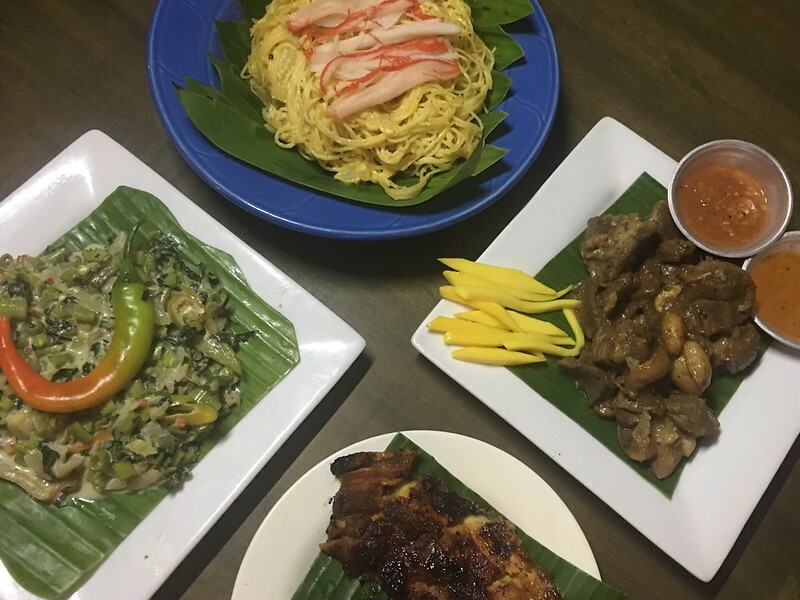 For inquiries and reservations, call +63 2 5040788 or +63 2 8059380. 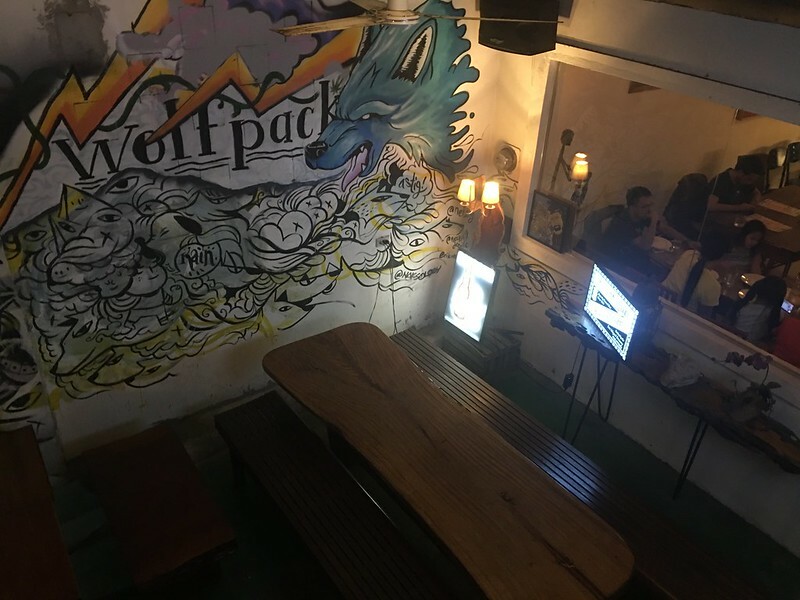 Many thanks to Kian Kazemi and the Lobo staff for having us and to Hungry Travel Duo for extending the invite!